Simple SEO Group >> Blog, Tips & Tricks >> Should My Blog Be Part of My Website or Should it Stand Alone? 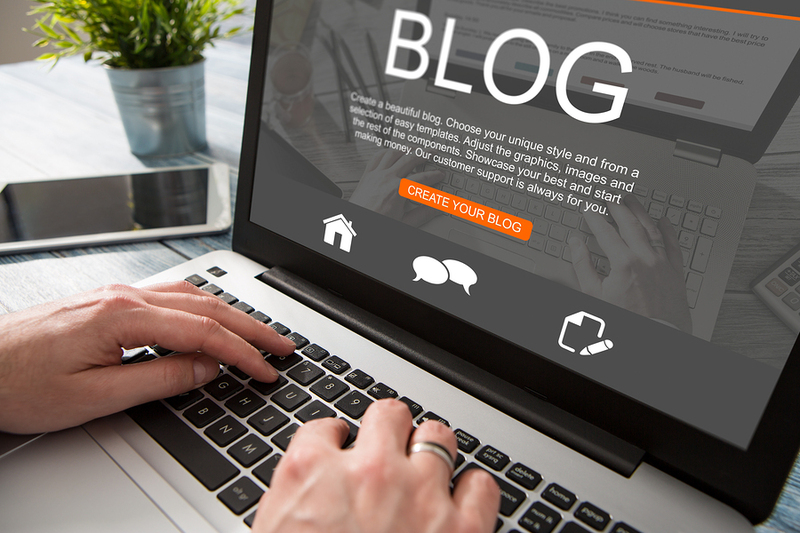 There are a few different reasons why making your blog a part of your website is more beneficial to your ranking than allowing it to stand alone. The first reason has to do with backlinks. If another website backlinks to one of your blog posts, this backlink will help your entire website rank higher in search results. However, if your blog is on a separate website, the backlink would only affect the ranking of the blog website, not your company’s main site. The blog content is also crucial to your company’s SEO strategy. A huge part of ranking within search results is identifying important keywords and incorporating them into your website’s content. Blogs are a great way to incorporate these keywords, so without a blog on your main website, you won’t have much of a chance to rank for your targeted keywords. Google prefers websites that are rich in content and frequently publish new pages. Because of this, a blog that is updated on a regular basis can make your entire website more attractive to search engines. But, if you choose to host your blog on a separate website, your main website will remain static, which could negatively affect your ranking. Any qualified website designer will tell you that user experience is an important factor to consider when building a website. Users want to be able to navigate through your website to find the information they’re looking for with ease. Creating separate websites for your company and your company’s blog will not lead to a positive user experience. Keeping everything on one website will make it much easier for users to click through to different areas of the website, read different blog articles, and then return back to your main page to find your contact information. Plus, today’s users have come to expect that every company website will have a blog. If they can’t find one when they visit your website, they may think less favorably of your company. One of the main goals for digital marketing is to drive traffic back to your company’s website. The more people click through to your website, the more you will sell. If driving traffic is important to you, it’s strongly recommended that you keep your blog and website together. Why? Companies that have blogs receive 55% more visitors than companies without blogs. That’s because the blogs are the pages that are driving traffic back to your main website. If you choose to separate your blog from your main site, you will be driving traffic to the blog page with no guarantee that the user will figure out who you are and how to visit your main page. Imagine losing 55% of your web traffic—that’s a significant drop that could affect your bottom line all because you chose the wrong location for your blog. It’s much more expensive to design, build, and maintain two separate websites than it is to keep up with a single website. Also, if you are spending money on pay-per-click ads, you will have to spend more to promote two websites if you separate your blog from your main website. Overall, it makes more financial sense to keep your blog on your main website than it does to pay more so you can have multiple websites. Branding one website is challenging enough, so why make it more difficult by creating a second website? A well-written and informational blog can help position your company as a thought leader in the industry. But, your company may not be strongly associated with blog articles that are posted on another website. If you are using a blog to establish yourself as an expert in a certain field, it’s best to keep it on your website so visitors understand who is writing the content. Now that you know the importance of keeping your blog on your main website, you have to decide whether you want it on a subdomain or in a subfolder. A blog located in a subfolder will appear in the format of www.companywebsite.com/blog, while a blog on a subdomain will appear as www.blog.companywebsite.com. But, this is not the only difference between the two. It’s recommended that you choose a subfolder over a subdomain if you want to maximize the benefits of keeping your blog on your main website. Why? Google and other search engines view subdomains as separate websites. This means your main website and blog will be treated as two separate websites, so you won’t get to experience any of the benefits of keeping your blog and main website together. Creating a subdomain for your blog will negatively affect your SEO, user experience, branding, and traffic just as launching a separate website for your blog would. On the other hand, search engines view blogs in a subfolder as part of your main website, so you won’t have to worry about your blog hurting your business if you choose this option. If you are building a website or looking for more advice related to SEO and digital marketing, contact us today to schedule a free consultation.